& just an AWESOME time for the whole Family. Heck! 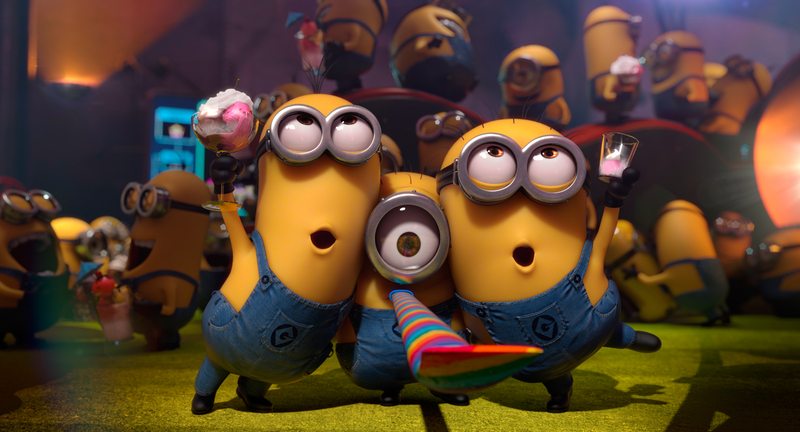 Who doesn’t like a FREE Movie? 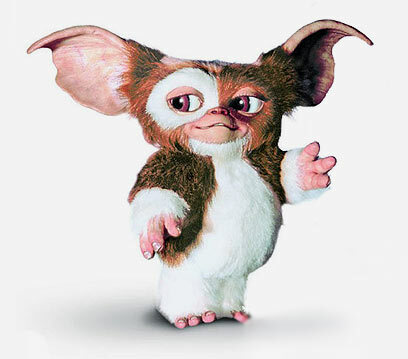 This Friday – Oct. 11, 2013 starting @ 8 PM to City of Hollywood, Fl will be showing Germlins (PG) at the Arts Park at Young Circle. The Arts Park at Young Circle is located at the intersection of US1 & Hollywood Blvd. It’s super easy to find and parking is all over the place. I would definitely visit http://www.visithollywoodfl.org/events.aspx for more information on all the FREE and upcoming events in Hollywood, Fl. If you have any questions or comments, feel free to call//text me – Eduardo (Eddie) Acevedo of Superior Real Estate Team of CBA Realty at (954) 610-9112 or (954) 417-6117 or you can email me at acevedoflorida@gmail.com. 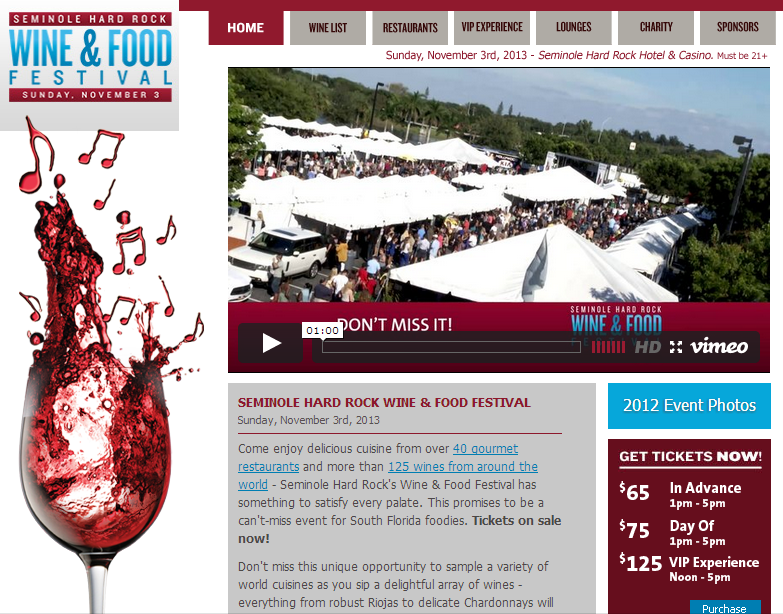 We at Superior Real Estate Team of CBA Realty in sunny South Florida are very excited for the 2014 Seminole Hard Rock – Food & Wine Festival which will be held at the Seminole Hard Rock & Casino (1 Seminole Way Hollywood, FL 33314 & (954) 327-7625) on (Sunday) November 3rd, 2013 from 1 PM to 5 PM. Tickets for this tasty event start @ $65.00 (Advance), $75.00 (Day Of) and go up to $125(VIP). Come enjoy delicious cuisine from over 40 gourmet restaurants and more than 125 wines from around the world – Seminole Hard Rock’s Wine & Food Festival has something to satisfy every palate. This promises to be a can’t-miss event for South Florida foodies. Tickets on sale now! Don’t miss this unique opportunity to sample a variety of world cuisines as you sip a delightful array of wines – everything from robust Riojas to delicate Chardonnays will be available for your tasting pleasure! Sample in style with our exclusive VIP Experience. Surprise your love with a great daytime date, or plan a group outing with friends – General Admission is also available. If your business or restaurant would like to participate at our event, please contact us at info@thewineandfoodfestival.com and we will send you further details. Be sure to Visit: http://www.thewineandfoodfestival.com/ for all the information. Martorano’s – Restaurateur Steve Martorano brings his signature Philadelphia-inspired Italian flavorsuch as his world famous meatball, eggplant stack, and shrimp scampi. Chef Creole Chef Creole – At Chef Creole our menu contains an enticing array of seafood, inspired by a mixture of Bahamian/Creole flavors and has become the standard for fresh seafood in South Miami. TATU – The menu is separated into three distinct categories: Chinois Pan Asian, the artful combination of Asian ingredients with French style and technique; Hunan and Szechwan Chinese, featuring traditional Chinese comfort food favorites; and Japanese Sushi and Tempura. Tatu also features a private Zen sake lounge, tatami room and an outdoor garden moon bar. Hard Rock cafe Hard Rock Cafe – Share a unique eating experience with music legends past and present. The extensive menu rocks the charts with your all-time favorites. Blue Bell – We proudly make Blue Bell Ice Cream the old-fashioned, traditional way, so it tastes just like it was hand-cranked. Sea Level – Indulge in our deliciously convenient menus. Or sample our hand-crafted cocktails and take one with you down to Sea Level Beach. It’s all here at South Florida’s newest oceanfront hotspot. Luigi’s Pizza Luigi’s Pizza – In Naples, Italy strict rules are followed to produce the world best pizza, now you can enjoy the taste of Italy right here in Fort Lauderdale. Seminole Hard Rock Kilwins – Sweet in every sense, since 1947. We continue to offer the finest quality traditional down-home confections and ice cream that are kitchen made fresh from premium ingredients and original recipes. Sweet Tomatoes – We pride ourselves on offering an all-you-care-to-eat dining experience where each of our guests can create a meal tailored to their needs. Of course, you can count on fresh, high-quality ingredients and daily made-from-scratch menu items. Potions in Motion – Our loyal team of bartenders, baristas, flair/flaming bartenders, mixologists and spokes models are T.I.P.S. 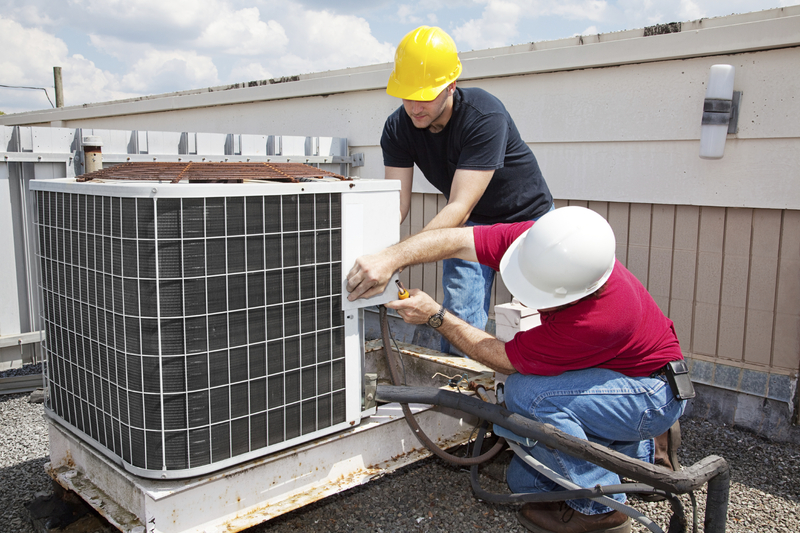 * trained and safety certified to meet your every requirement. Luca Bella – Our restaurant features a 20 person bar, comfortable furnishings, dimmed lighting, and a blend of soft caramel colors, accented with a few bright fabrics to create a modern twist to an authentic Italian eatery. 2 Guys Catering – As certified professional caterers we will exceed all your expectations. The catering menu options feature a wide range of flavors selected from around the world. Lime Fresh Mexican Grill Lime Fresh Mexican Grill – We use the best ingredients available, that’s delivered daily and prepared on-site for all our homemade salsa, sauces and sides. Plus, we really care if you like it. We make your meal however you want it, bring it out to you and bring it back if it’s not perfect. We’re cool like that. Jet Runway Café – By day, Jet Runway Café is a bustling, upscale eatery tucked away inside Fort Lauderdale’s Executive Airport. Serving jet setters and patrons with discerning taste since 2008, you’ve arrived at Fort Lauderdale’s most exclusive breakfast and lunch destination. Kitchen 305 Kitchen 305 – Kitchen 305 offers great food and fun dining in a chic setting. This 3,200-square-foot restaurant features live music, and a weekly line-up of events. Gelato Petrini – Gelato Petrini is the result of tanto amore e passione (a lot of love and passion), a common appreciation for decadent desserts, shared family values, a spoonful of hard work and tons of fun! Gelato Petrini 3030 Ocean – A unique, creative and passionate combination of flavors await at 3030 Ocean Restaurant, a candlelight filled oceanfront casual chic dinner bistro serving stylish American Cuisine seafood and special meats; located at the Marriott’s Harbor Beach Resort & Spa in Fort Lauderdale. Whole Foods Market – At Whole Foods Market we seek out the finest natural and organic foods available, maintain the strictest quality standards in the industry, and have an unshakable commitment to sustainable agriculture. Soho Catering & Events – Many things differentiate SOHO from other event venues. SOHO is moderately priced; thousands less than having an event in a hotel, yet all of the qualities of a five-star ballroom are present. There is also plenty of parking and in-house catering is available but not required. Aroma Market & Catering – Featuring exceptional and delicious menus, Aroma Market and Catering remains a top provider of quality kosher products you won’t find anywhere else. Brazaviva Churrascaria Brazillian Steakhouse – Your dining experience at BRAZAVIVA is easy: instead of ordering from a menu, you can enjoy unlimited visits to our Gourmet Salad Bar and continous tableside service featuring the finest Brazilian fire-roasted meats at a pre-fixed price. California Pizza Kitchen – Since 1985, California Pizza Kitchen has served innovative cuisine with a signature twist that’s globally inspired yet distinctly California. Our delicious hearth-baked pizzas, pastas, soups, sandwiches, appetizers and desserts are available at more than 260 full-service restaurants. PDQ – PDQ (People Dedicated to Quality) is a fast casual restaurant specializing in hand-breaded chicken tenders, hand-tossed salads, sandwiches, fresh cut fries and hand spun milkshakes and malts. PDQ favorites are made with only the finest ingredients, all featuring sauces and dressings homemade everyday. Smokey Bones – At Smokey Bones, we specialize in three things: good food, good drinks and good times. We are a bar and fire grill, but not necessarily in that order. We are grill masters who respect the power of the open flame. Catered Fit – The science behind Catered Fit is to keep your body in a calorie burning state through the process of speeding up your metabolism by supplying you with a minimum of 3 gourmet, properly proportioned meals daily. John The Baker – Check out our authentic menu Italian food. Enjoy a variety of Italian specialties, cooked just for you! NO MICROWAVES, NO FROZEN FOODS. We prepare everything here, FRESH for you & your family to enjoy. Benihana – Benihana is the leading Asian-themed restaurant chain in the world. Our restaurants are a place to meet new friends, celebrate special occasions or just enjoy an entertaining meal. Our highly skilled teppanyaki chefs slice and dice your meal, providing entertainment as you enjoy traditional Japanese cooking using American favorites like steak, chicken, seafood and vegetables. The Green Wave Café – The Green Wave Café serves a distinguished health centric cuisine. We pride ourselves in preparing food that is first class in nutrition with a keen focus on deliciousness. Tijuana Taxi Co. – Tijuana Taxi Co. serves delicious authentic Mexican food and the best margaritas this side of the border! Huge portions, patio seating, amazing cocktails and an unusually inviting atmosphere make THE TAXI one of the hottest eateries in town! iConnect Cafe – iConnect Cafe and Yoga Spa is South Florida’s newest Center for Spiritual and Cultural Revitalization. The Tilted Kilt – The Tilted Kilt Pub and Eatery has a Casual Pub atmosphere with flat screens and all the best sports viewing around! Featuring the World Famous Tilted Kilt Girls at your service. Ra Sushi – RA Sushi Bar Restaurant, an upbeat, unconventional sushi bar, opened its first location in Scottsdale, Ariz. in October 1997. RA is best known for successfully combining distinctive sushi with a trendy, hip atmosphere. Council Oak – Council Oak Steaks & Seafood is the highly acclaimed restaurant at the Seminole Hard Rock Hotel & Casino. Sophisticated, yet inviting and friendly, Council Oak offers genuine, 100% U.S.D.A. prime dry-aged stockyard beef, the freshest line-caught seafood from local waters, king crab legs that are flown in fresh from the Bering Sea, and an award-winning wine list. Olive Oil of The World Olive Oil of The World – At Olive Oil of The World we are here to help you choose the olive oils that best suit your palette and discuss with you how to best use these different olive oils for cooking. Trained by professional olive oil sommeliers in Italy and working with true artisan producers, Olive Oil of the World guarantees the authenticity of the products they carry and use for private catering activities. Blue Plate – Modern American classic recipes and eclectic new twists on tried-and-true favorites at Blue Plate Restaurant, Seminole Hard Rock Hotel & Casino’s 24/7 restaurant. This popular dining choice features appetizers, soups, salads, sandwiches and hearty entrées sure to be instant hit with early birds and late-nighters. Center Bar – Located at the heart of Seminole Hard Rock, Center Bar is the perfect location to take in the action swirling around you on the casino floor. Featuring specialty cocktails, artisanal beers and selection of wines, it is the perfect setting for relaxing and socializing. The Toffee Tin – Once you try it, you will be addicted to The Toffee Tin’s blend of buttery pecan toffee with just a hint of chocolate, the perfect crunch, not too hard, not too soft. Weddings, showers, birthdays or just because- give the gift of the sweet taste of toffee! CraveRum – At Craverum, rum cakes are flavorable works of art ‘individually’ baked to perfection. Each cake, hand made from scratch, is personally attended to by a seasoned chef. From beginning to end, all details of the baking process are performed with care. 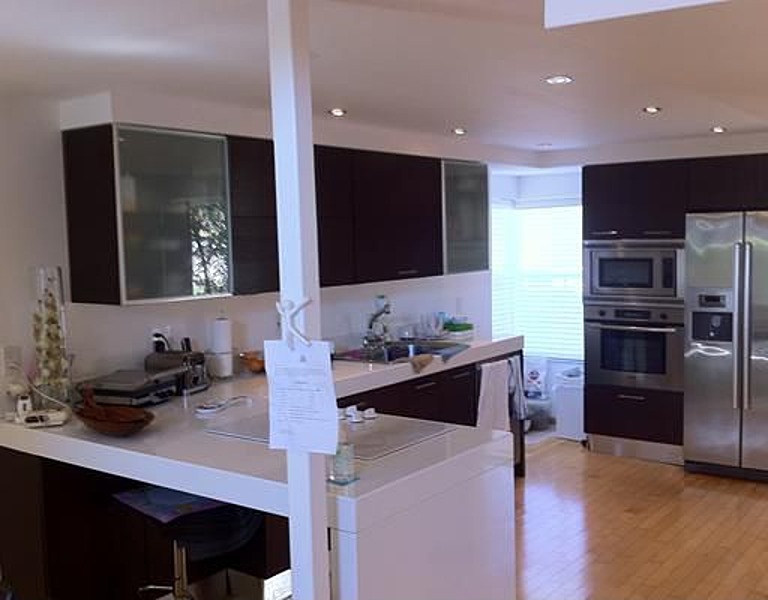 Roho Kitchen – Roho Kitchen is modern creative abode for everything culinary. We specialize in global cuisine and offer full service catering for corporate events, weddings, and social affairs. As well as, interactive hands-on cooking classes, team buildings and wine dinners to corporate and private events. The Fresh Market – The Fresh Market provides a unique grocery shopping experience with stores that are designed to evoke old-world charm with a warm and inviting atmosphere, classical music, soft lighting, delightful aromas and superior customer service. Tijuana Flats – Something might offend you, but it will never be the food! The “Anything Goes” approach to food, wall art, hot sauce & life in general. Predictable is too normal, normal is too predictable. The Hot Pot – The Hot Pot is the only restaurant in the Ft. Lauderdale serving a full Vietnamese cuisine, Louisiana Live Crawfish, and Hot Pot(a healthy Asian Style Fondue). We also cater big group parties and have private party rooms with Karaoke entertainment for customers to use by reservations. Bahama Breeze Bahama Breeze – Bahama Breeze is a restaurant that brings you the feeling of a Caribbean escape. We offer the food, drink, and atmosphere that you would find in the islands! Feed Your Island Spirit. Remember you must be 21(+) to attend. As always, if you should have any questions or comments please feel free to call/text me, Eduardo (Eddie) Acevedo @ (954) 610-9117 or (954) 417-6117 or email me @ acevedoflorida@gmail.com. Dentists ARE NOT created Equal!! 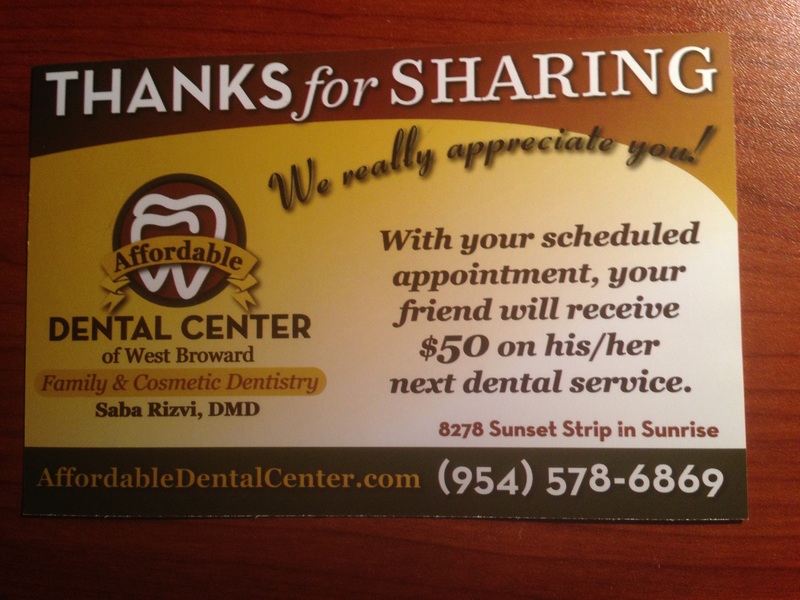 – Dr. Rizvi @ Affordable Dental Center in Sunrise, Fl is the BEST!! Hi Everyone, Eduardo (Eddie) Acevedo of Superior Real Estate Team reporting in from Sunny South Florida. So I just had to share about an Awesome Dentist I found today and all her amazing team. 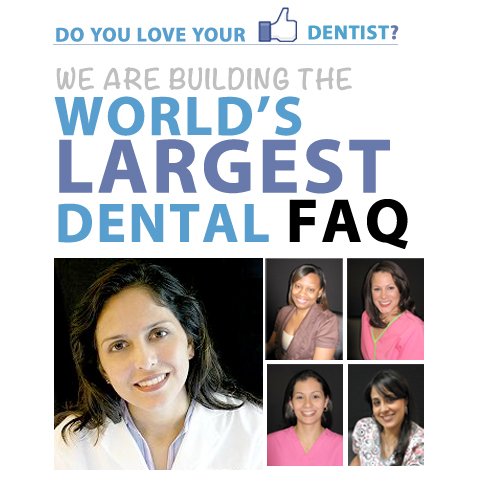 Her name is Dr. Saba Rizvi and she is the dentist @ Affordable Dental Center located at 8278 Sunset Strip, Sunrise, FL 33322‎ their phone number is (954) 578-6869. Also be sure to visit their website at affordabledentalcenter.com. 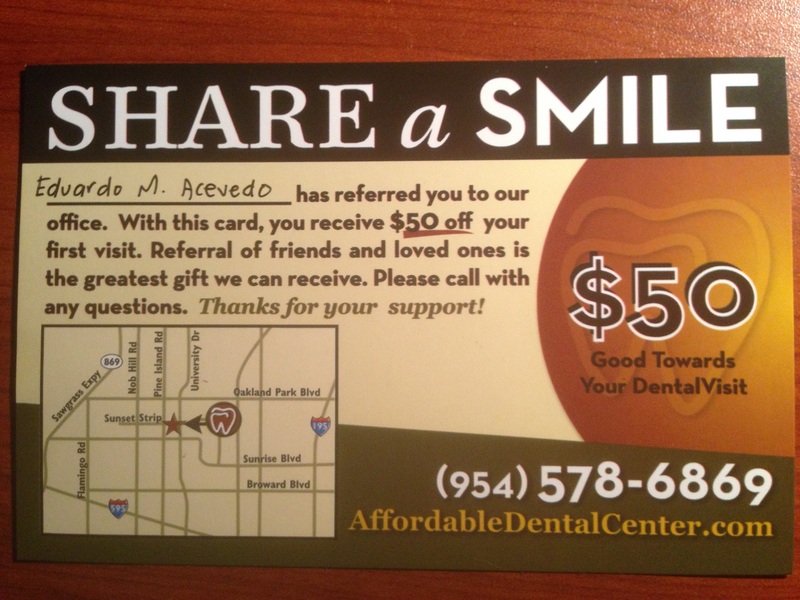 I wrote a Short & a Long Review below and I have included the $50.00 referral card I received so that ANYONE can take advantage of this amazing dentist office and their AWESOME Team. Short Review: Amazing Group of People. Professional, Affordable, Masters of their craft, One of A Kind, Loving and Caring!! 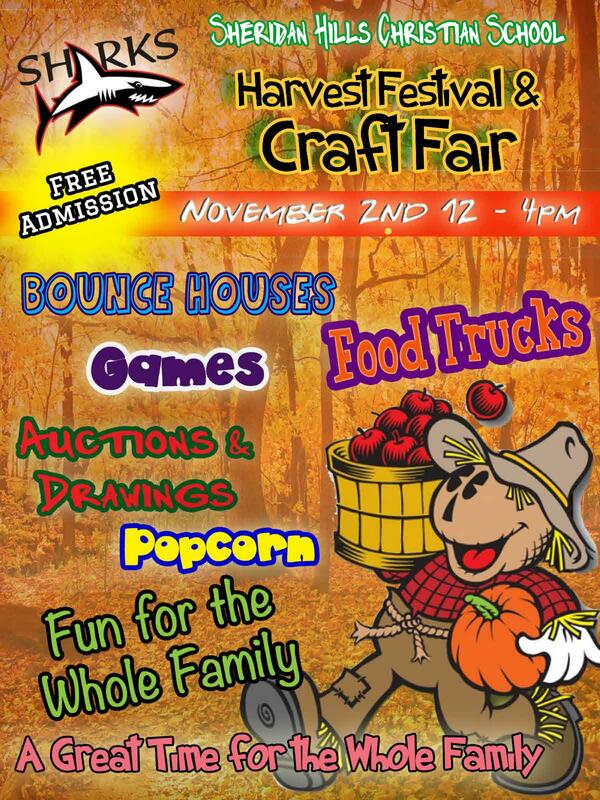 I would bring ANYONE and EVERYONE here!! If you need ANY sort of Dental work done, DON’T CALL or GO anywhere else!! Affordable Dental Center is the PLACE TO GO!!! Longer Review: So the pain all started on Friday (10/4), I bit down on a piece of food improperly and something just went wrong. The pain was sharp and throbbing and with cold compresses and some pain medication I was able to handle it. I began my searching for a dentist and came across Affordable Dental Center. I read the few reviews they had and decided to reach out to them. This dental practice is one step ahead of everyone. They have an option where you can book an appointment online and so I did this on Saturday. I knew they were closed and in all honesty, I didn’t expect to get a phone call. Well I made it through the weekend and I awoke on Monday morning to a voice mail from Mrs. Avlyne (Their front desk coordinator). She listened and ask if I’d like to come in right away so that I can have the issue handled. I spoke to her at 9 AM and was there at 10 AM. I arrived to smiling Mrs. Avlyne and was asked to fill out some paper work and once that was over I was seen immediately. They knew I was there to have an issue handle so they were straight to the point. I believe, Luz (dental assistant) took my X-ray – she was super nice and caring by the way, and than Dr. Saba Rizvi was in immediately. She actually read what I wrote down on the sheet and took a few minutes to get to know me and than we were off to the races. She looked at the X-rays and listened to my story and pain and then did the examination. She concluded that I needed a Root Canal and a Crown or I could pull the tooth. I decided to go the Root Canal way because I didn’t want another tooth pulled. I mean we only have so many. The quote was drafted up for the procedure and they also told me about various financing options to help bare the load. The entire time I was there I felt taken care of and valued. I never thought I would get both at a dentist office. We figured out everything and I was taken in to have the Root Canal done. Now I can handle pain and from all the horror stories I heard in the past about Root Canals I was ready for the worst. In my mind I thought BRING IT ON!! Dr. Saba Rizvi told me that she was going to do her best to get the Root Canal done in one sitting and so we began. All I have to say about the procedure was WHAT A WALK IN THE PARK, Dr. Saba Rizvi is truly a master at her craft. I didn’t feel a thing. I assume the anesthetic was placed in all the right places and she just worked her magic. I can’t lie, I did flinch two times and each time the Dr. took notice of it and asked if I was ok. She asked me this numerous times just to make sure. Nicole, her other dental assistant, was also very kind and assisted throughout the procedure as well. I cannot believe how PAIN FREE this whole thing went. So I was done with the procedure and was given my papers and I have one more appointment on Tuesday for the Crown and well that’s my story. If you are looking for a professional, affordable, friendly, kind, loving, careful, patient and AWESOME dentist than you NEED to go here. Well this is Eduardo (Eddie) Acevedo of Superior Real Estate Team signing off. If you have any questions or you want to hear this story from the horses mouth please feel free to email acevedoflorida@gmail.com or Call/Text (954) 610-9112. God bless. The website does a wonderful job about sharing really quality information on Real Estate news in Florida. Of course, we concentrate in South Florida and particularity Broward County but it is always wonderful to have a space to visit that can provide you all the information you need. As always, if you have any questions or comments please call me, Eduardo (Eddie) Acevedo, of Superior Real Estate Team of Re/Max in Hollywood, Fl at (943) 417-6117 or (954) 610-9112 or email me at acevedoremax@gmail.com. Wouldn’t it be nice is life had a search button like the one pictures above to help you when you want/need to find your new home or investment property. We at Superior Real Estate Company of Re/Max here in Hollywood, Florida know how frustrating it can get be but no worries we are here to help. The link below will lead you to site where you will be able to search Millions of Properties Nationwide. 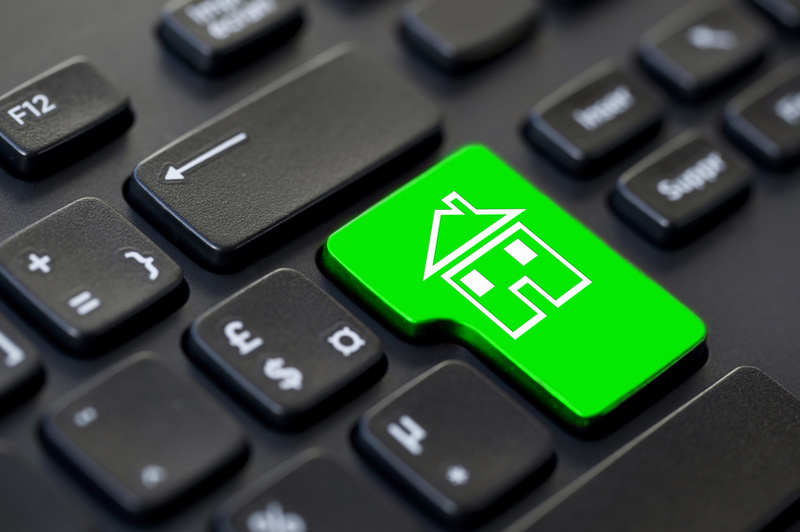 The site is link into the Multiple Listing Systems across the Country where all the Realtors put their inventory. So now you have the power to search, save and inquire about ANY property. We hope this helps you. As always, if you have any questions or comments please feel free to call/text (954) 417-6117 or (954) 610-9112 or email me Eduardo (Eddie) Acevedo at acevedoremax@gmail.com. Just wanted to let you know all know about yet another awesome Home this Weekend for our Famous Buyer’s Blitz – 3/2 & Upgraded – Bid Starts @ $166,400.00 – SEE YOU THERE!! As always, if you have any questions, comments or concerns please call/text – (954) 610-9112 or Email acevedoremax@gmail.com – Eduardo (Eddie) Acevedo of Superior Real Estate Team of Re/Max in Hollywood, Fl.